One of the things many people find difficult when they visit New Zealand is understanding the accent and pronunciation of the locals. Even though English is the primary spoken language and one of the three official languages of New Zealand (the other two are Maori and sign language), New Zealanders certainly have a unique way of pronouncing words. This can make it challenging for tourists to understand them. Fortunately, "kiwi" English doesn't have any regional dialects. Except for the elongated "r" sounds used by the residents of the South Island, the accent is pretty much consistent throughout the country. While accents can also be a little broader in rural areas, sounding a bit more like Australian English, the kiwi accent is generally uniform and recognizable as being from New Zealand. 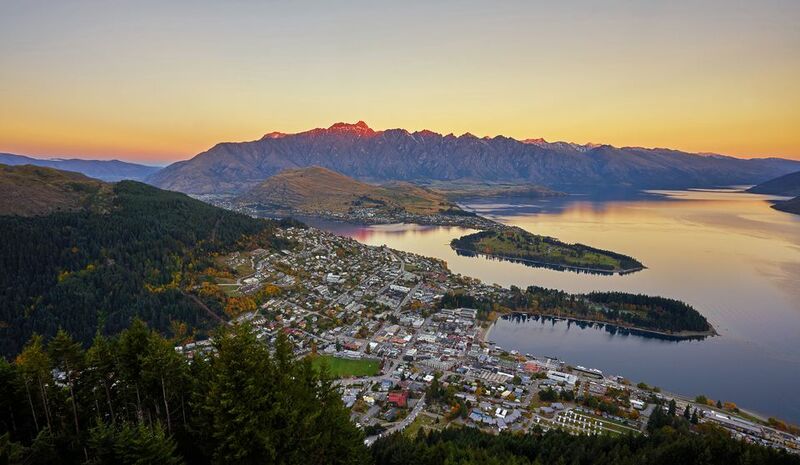 If you're planning on visiting New Zealand, you'll most likely need (and want) to interact with locals so you can discover more fun, learn interesting things, and go new places during your trip. Knowing some basics about kiwi pronunciation will help you understand anyone you meet on the island. The letter "o" can sometimes have the same sound as in "boy," even when it appears at the end of a word. For instance, "hello" can sound more like "helloi" and "I know" can sound like "I noi." Meanwhile, the letter "e" is usually elongated when pronounced or can be pronounced like the letter "i" in American English; "yes" can sound like "yeees," and "again" can sound like "ageen." Additionally, the letter "i" can be pronounced like the "u" in "cup," as is the case with the kiwi pronunciation of "fish and chips" as "fush and chups," like the "a" in "loofa," or the "e" in "Texas." If you want to get some practice on the New Zealand accent before you arrive, you can watch the comedy show "Flight of the Conchords." This quirky show tells the story of kiwis in New York who make their mark on the Big Apple with their charming accents. Along with knowing how to interpret a New Zealand accent, being able to recognize some common kiwi phrases will help you keep up with conversations during your trip to the islands. You'll often run into odd words used in the place of common English ones. For instance, New Zealanders call apartments "flats" and roommates "flatties" or "flatmates," and they also call clothes pins "pigs" and the middle of nowhere the "wop wops." The "chilly bin" is used to mean a portable cooler or sometimes even a refrigerator. If you're looking to rent a holiday home, a New Zealander might ask if you want to "book a bach," and they'll be sure to remind you to bring your jandles (flip-flops) and togs (swimsuit) if you're going to the beach or your hiking boots if you're going tramping through the forest. Kiwis cheers with "chur bro" and say "yeah nah" when they mean both yes and no at the same time. If you're ordering out at a restaurant, you might try some purple kumara (sweet potatoes), capsicum (bell peppers), feijoa (a tangy New Zealand fruit often mixed into smoothies), or a classic L&P (a lemonade-like soft drink that means Lemon and Paeroa).